Beyond providing quality music lessons to the Toronto and East York area, we here at Lippert Music Centre have an obligation to provide a safe and welcoming learning environment for all of our students. We are a registered music institution founded in 1957 with a firm commitment to developing musicianship to its fullest. Our highly experienced team of over 30 hand-selected teachers offer superb programming for a personalized approach to music education. We offer music lessons for all ages and levels, toddlers to seniors, beginner to advanced. As part of our curriculum, we hold an annual recital in June, as well as numerous performance opportunities throughout the year including music festivals such as the East York Music Festival in March. We offer in-house examinations as well as preparation for Royal Conservatory of Music examinations. The RCM is one of the oldest music institutions in the world and is key in setting global music standards. Music grades range from Preparatory Levels (equivalent to pre-school, JK and SK), then grades 1-10, culminating in graduation with an A.R.C.T. (Associate of the Royal Conservatory of Toronto) degree for teaching or perform-ing. Dedication to music education does pay off! Completion of Grade 7 RCM examinations is recognized by most school boards as a Grade 11 high school music credit, and Grade 8 RCM examinations are equivalent to a Grade 12 high school music credit. We here at Lippert are excited to join you on your musical journey and we can’t wait for you to be a part of our family! Please note that our school policies are subject to change at any time and that these changes may not be reflected immediately on our website. For updated School Policies, please visit our location in person. Registration – Registration Fee refunded for students paying by Option 1 or Option 2. Option 1: Auto-Pay Terms – *Save $1.00/lesson with this payment option! Three (3) Post-Dated Cheques or automated payments. By paying through Option 1 you will receive discounted lessons, a refundable registration fee, and one make-up class. All cheque payments must be received on the day of registration to claim discounts (no extra term discount for credit cards). E-Transfers must be received on or before the due date or registration fee and discounts are forfeited. Option 2: Auto-pay Months – *Save $0.50/lesson with this payment option! Ten (10) Post-Dated Cheques or automated payments. By paying through Option 2 you will receive a refundable registration fee and one make-up class. All cheque payments must be received on the day of registration to claim discounts (no extra term discount for credit cards). E-Transfers must be received on or before the due date or registration fee and discounts are forfeited. Option 3: Monthly – Lesson fees due prior to the 1st day of each upcoming month, for the month. Payment to be made each month in our office. This option is subject to a non-refundable Registration Fee and no make-up lesson. It is the student’s responsibility to pay on time, regardless of receipt of an invoice. A late payment charge of $10.00 will be applied to overdue accounts. Single Lesson – A Service Charge of $7 per thirty (30) minute lesson is applied to students paying for single lessons. Payments are due prior to each lesson. Group Classes – Payments are due prior to the start of group classes. No make-up lessons for missed classes. No refund once a term has started. Group Classes include any workshops offered throughout the year. Students are responsible for keeping any loaned instruments and/or materials in original condition or a fee will apply. Summer Lessons – Lessons available Tuesday—Thursday by appointment in July and August. No charge for lessons cancelled three (3) days in advance and these lessons will be made-up, credited or refunded. Summer lessons are highly recommended to all students to avoid regression or as an opportunity to try new instruments. In-home Lessons (Lippert-on-the-go!) – A non-refundable fee is charged for a 30-minute, in-home assessment before lessons begin. Lippert-on-the-Go! Is only available with payment Option 1 or Option 2. An adult, aged 18 or older, must be present for the duration of the lessons. A Service Charge of $12.50 per thirty (30) minute lesson is applied to students using Lippert-on-the-go! Summer Camp – The School of Hard Rock was founded by Lippert in 2001 as a music enrichment program for children aged 9 to 17. Campers write and record original music, learn cover songs, try new instruments, participate in outdoor recreation, and put on a live performance on Fridays at an established venue. Camp runs weekly in July (Monday-Friday, 9:00am-4:00pm). One year experience required on any instrument except voice. The full session’s fees are due and payable in advance. Pro-rated refunds are not available for days absent, or other services not fully utilized. Refunds (less a $50 administrative charge per student/per session) will be issued for all camp session cancellations with notice provided two (2) weeks prior to July 1st. Refunds are not available after May 31st. Refunds for medical reasons are available upon presentation of a doctor’s certificate. Cancellations must be made in writing. Hours of Operation – September – June: Monday – Friday (3:30-8:30pm), Saturday (9:00 – 4:00pm), other times by appointment. July & August: by appointment only. Calendar & Important Dates – A copy of the school calendar is attached to the fee schedule emailed to you, as well as being available online at www.lippertmusic.com. It is the student’s responsibility to check the calendar for school closures and/or special events (note: please consult your teacher before registering for any RCM examinations). 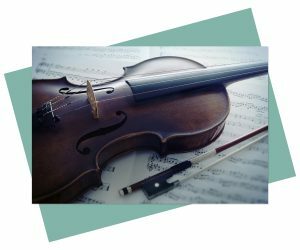 Music Store – Everything you need for your lessons is conveniently available for purchase at Lippert including, but not limited to: sheet music, method books, CDs, instruments, instrument accessories, and more. 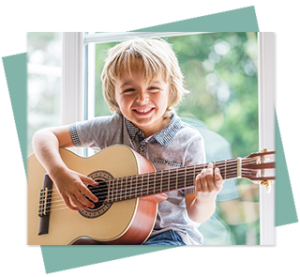 Rentals – Instrument rentals are available to Lippert students at competitive rates including, but not limited to: guitars, ukuleles, violins, pianos, and more to facilitate daily practice at the student’s home. If you would like to purchase your rental instrument, we offer a “Rent-to-Own” program for all of our students. Refund Policy – If you choose to discontinue private lessons, written notice is required seven (7) days prior to the end of the final month of lessons to avoid being charged for the upcoming month. There are no refunds once a new month has started. For payment Option 1 and Option 2, unused fees will be refunded and/or post-dated cheques returned (less discounts, outstanding lessons, or rental fees). Receipts – We are a Government registered institution and, as such, offer Official Tax Receipts (T2202A) for the year’s tuition fees received by December 31st for students aged 16 or older studying music for the betterment of their careers. We also provide receipts for students under the age of 16, including receipts for the School of Hard Rock Summer Camp. All receipts are issued by the end of February of the following year. NSF Cheques – A fee of $30.00 will be charged for any and all NSF cheques. Behaviour Policy – Behaviour by student, guardian or any individual that limits the safety or enjoyment of others in our facilities is not permitted. Zero tolerance for disrespect. Should a situation arise, the individual will be removed from the premises and any lesson or class will be subsequently forfeit and no refund issued. The individual and any associated parties will be financially liable for any resulting damages. Studying Music Earns You High School Credits! As if you needed more reasons to study music beyond increased intelligence, lower stress levels, and higher self-confidence, here is yet another reason to study music. By studying music and taking examinations at the Royal Conservatory of Music in Toronto, high school students in Ontario can earn Grade 11 and Grade 12 music credits. The RCM represents the pinnacle of classical music training and education in Toronto and certain accretions are equivalent to post-secondary level music classes. Here at Lippert, our teachers are equipped with the expertise necessary to not only prepare your for an examination, but to help you succeed. So graduate early OR distinguish yourself and graduate high school with extra credits! Below, you’ll find the RCM’s listed requirements for these credits as per their website. Or check out this appendix from the Government of Ontario.